I bet you have been wondering just how long it would take before “food” crept into my love of coloring! 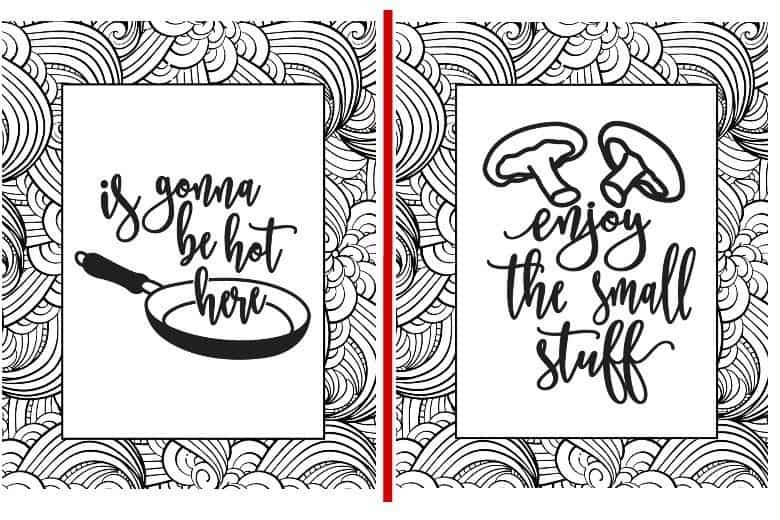 With these new and unique printable coloring pages, I can have my love of food and color it too – so can you! Printable Coloring Pages are so easy and convenient! when you are ready, all you do is print and color! Whether it is fun sayings or faith related, I want to inspire you with new and different designs! After all, life is too short to be bored. This is the first set to have a “cooking” inspired theme. As much as I talk about food and actually spend time cooking, you would think I would have thought of this before. But, finally, food has crept in to my coloring! For me, coloring is a hobby. More often than not, I am doing with my children – especially with my 9 year old. She loves it when I spend time coloring with her! So whether you use crayons, coloring pencils or markers, get ready to let your unique, creative flair shine! I like to use markers but it is completely personal preference. If coloring is your hobby, or someone you know loves to color, be sure to check out the different sets from the Coloring Pages Collection of the Cultured Palate Store. 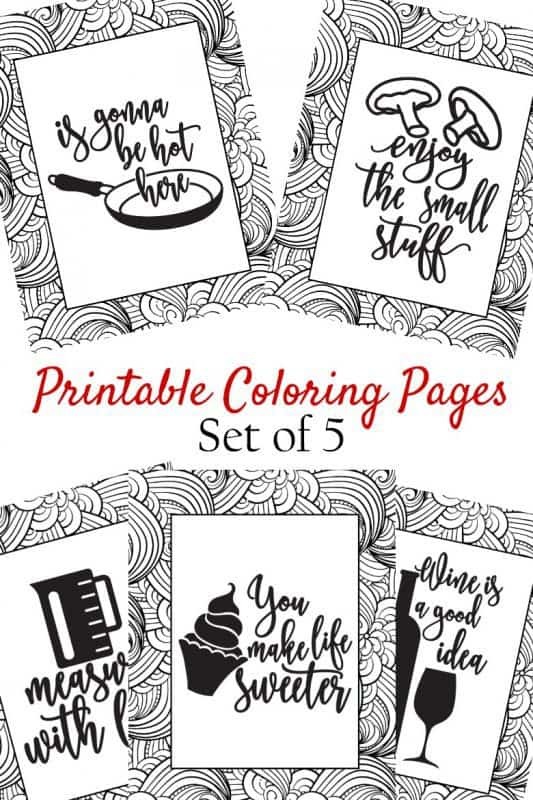 If you have tried this or any other coloring page sets, be sure to leave a review in the store and a comment letting me know – I love to hear from you! Call us partners in crime but, I love knowing others are having fun with these designs!